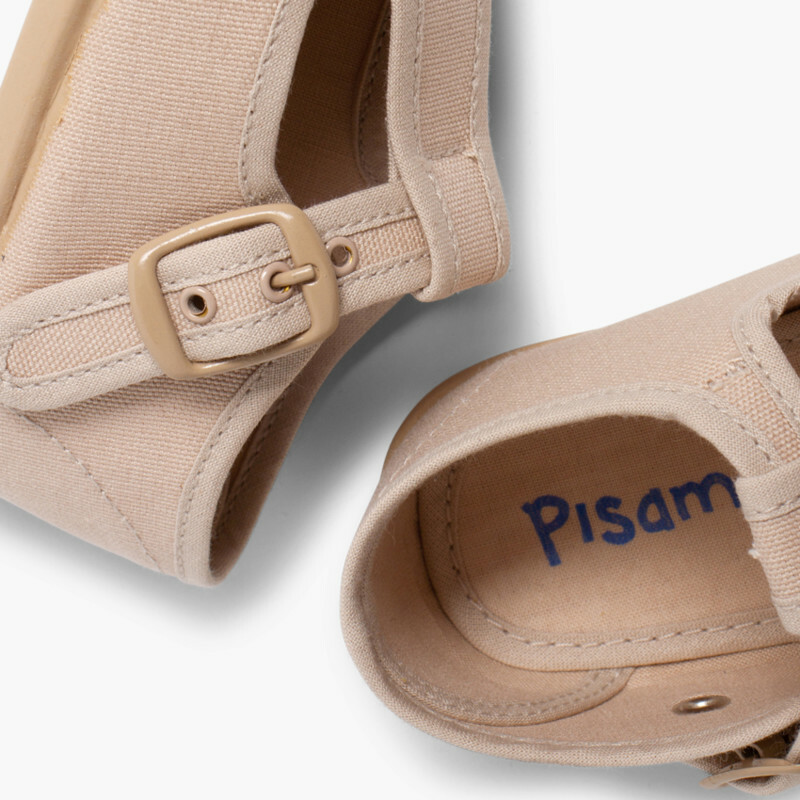 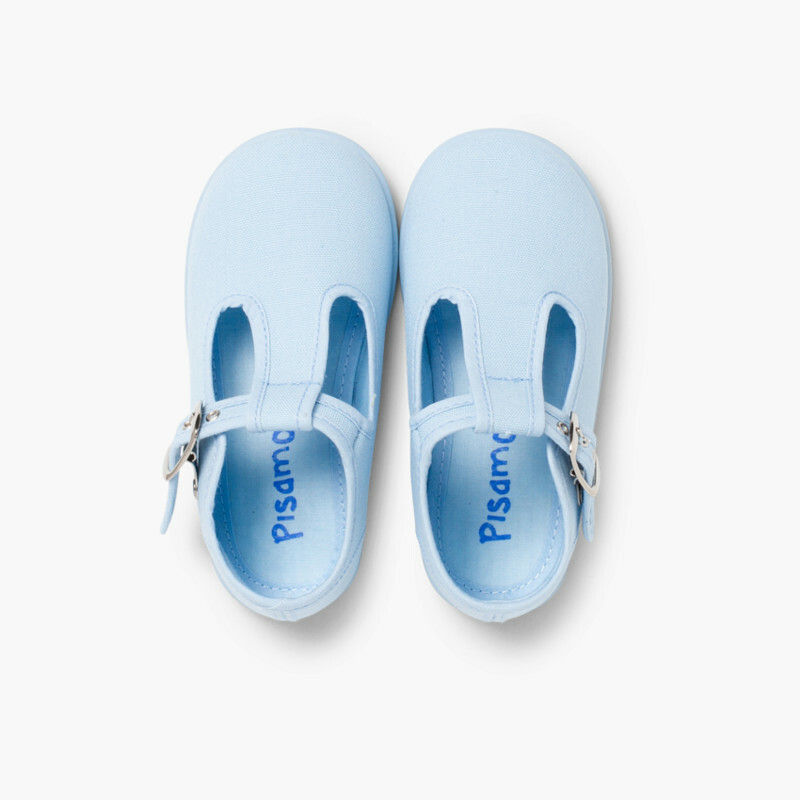 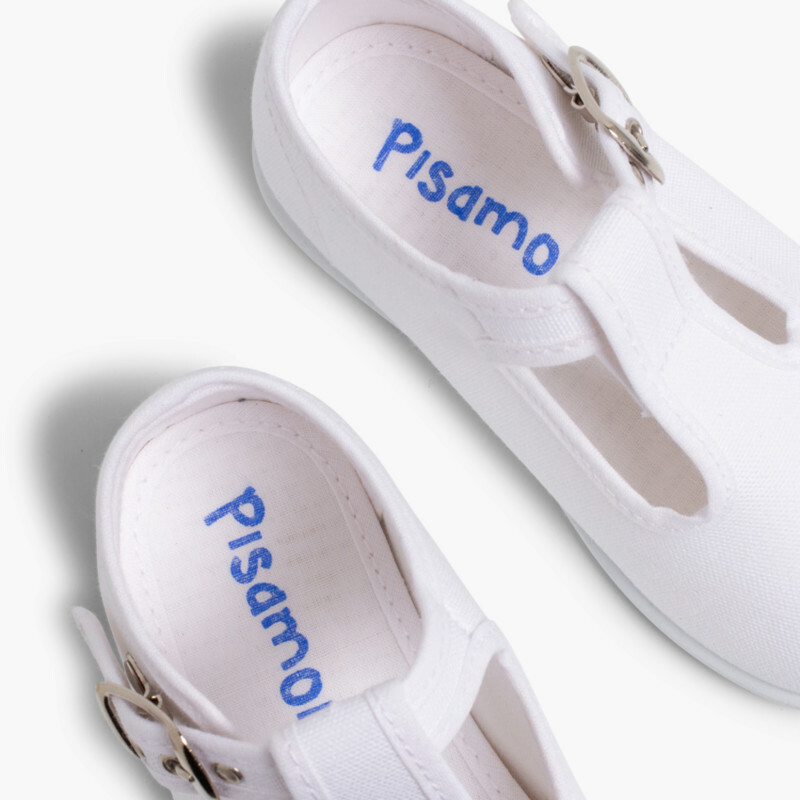 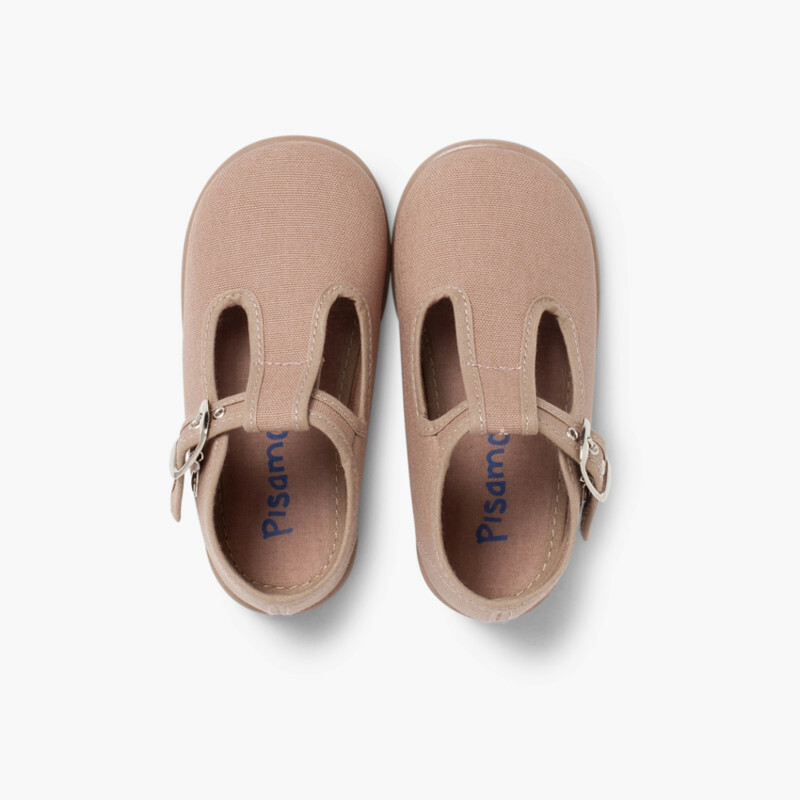 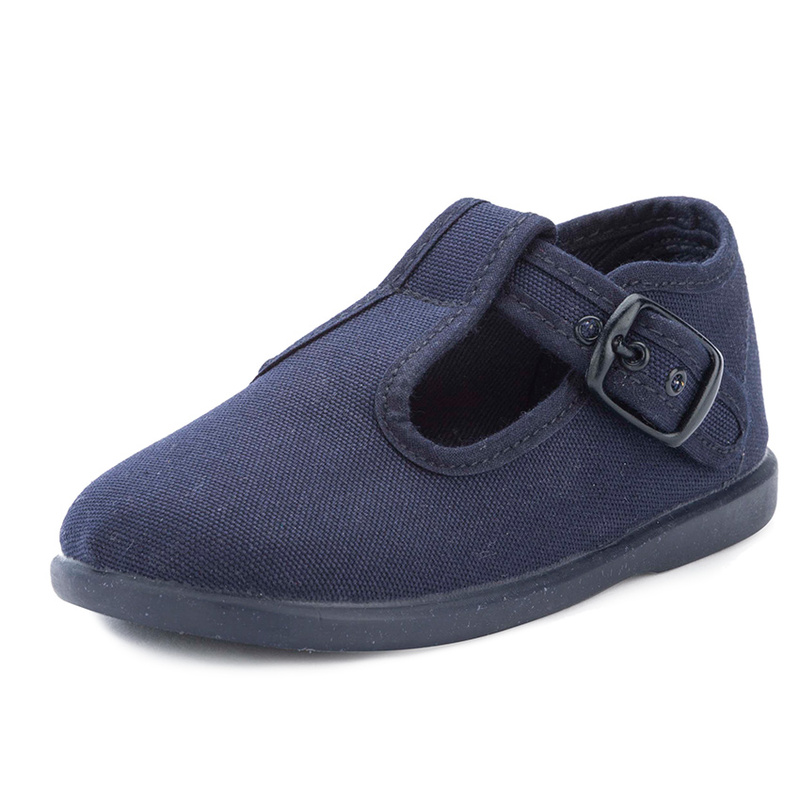 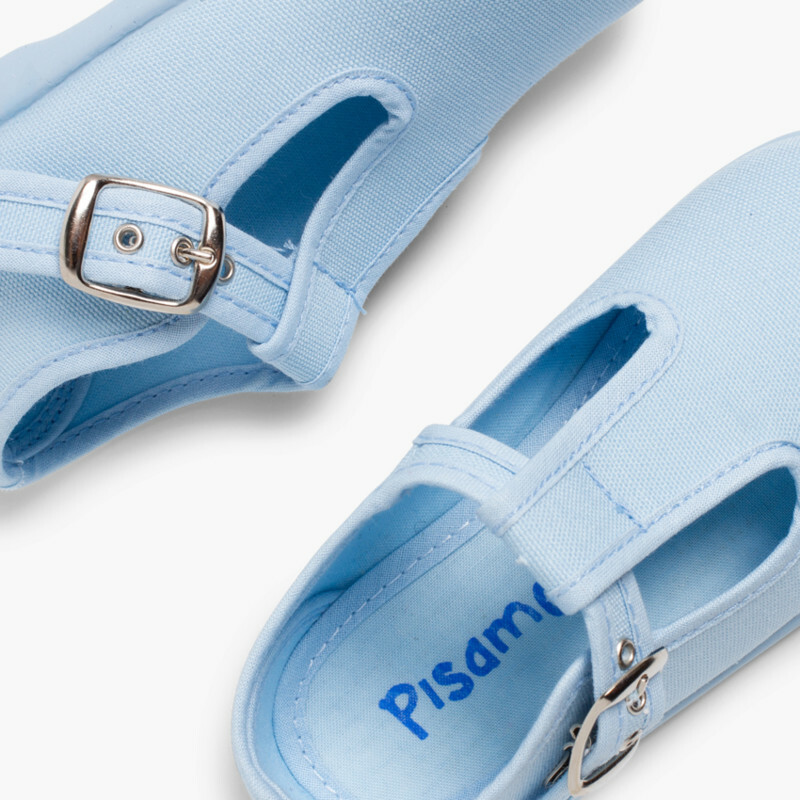 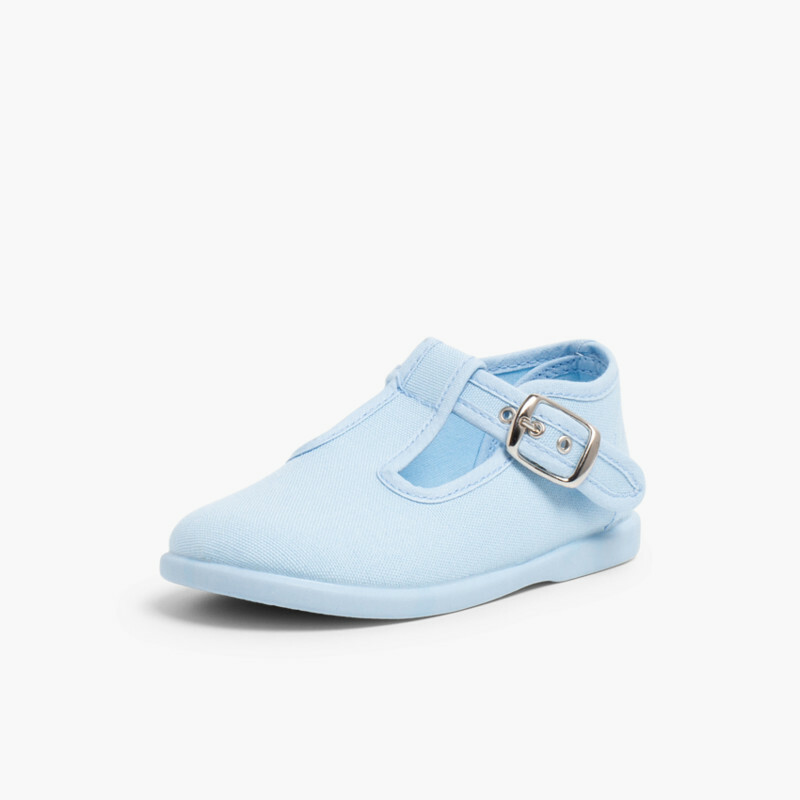 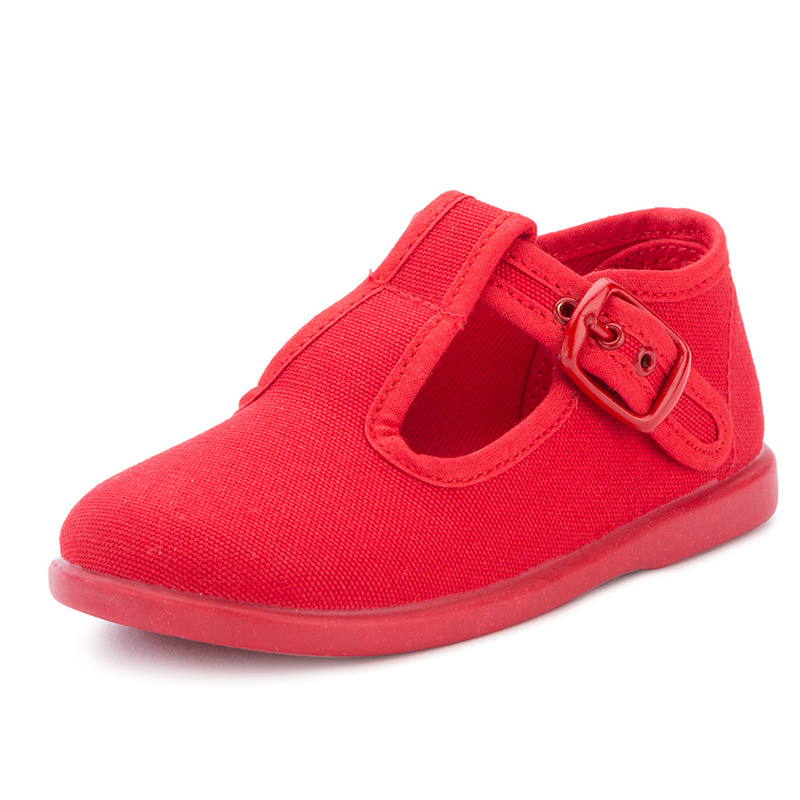 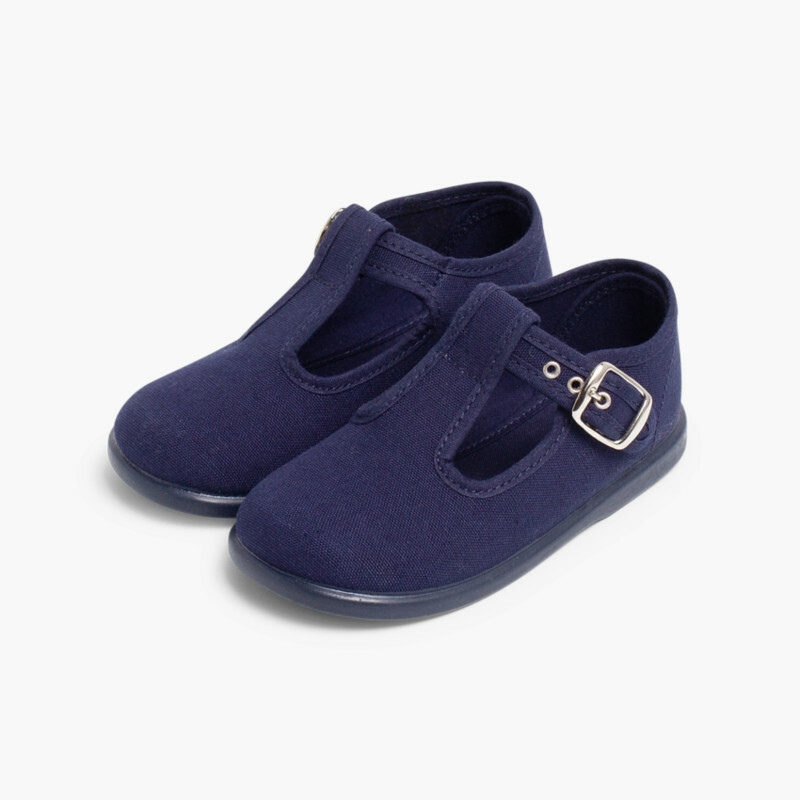 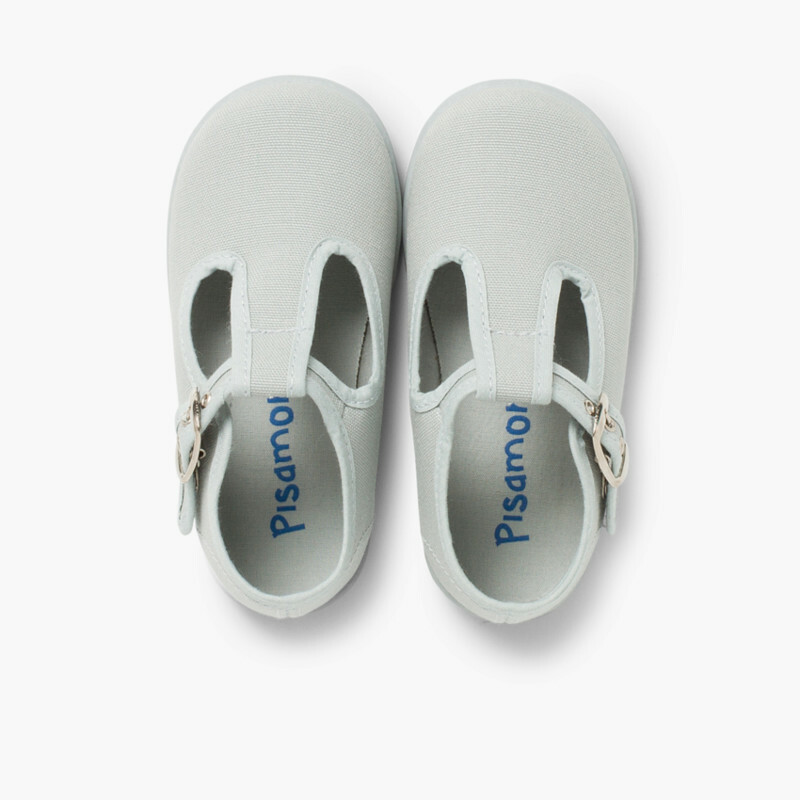 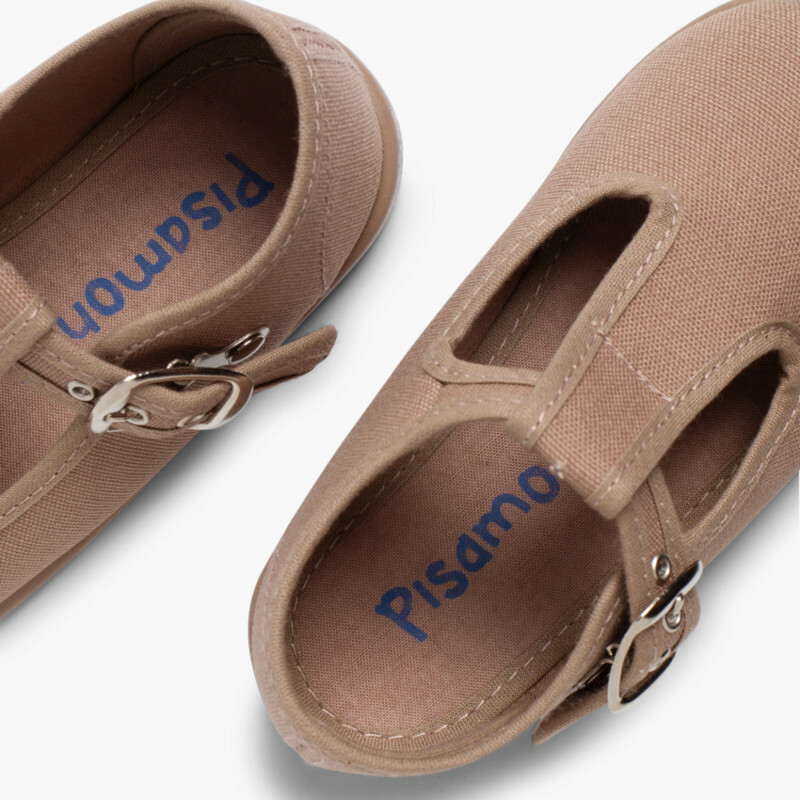 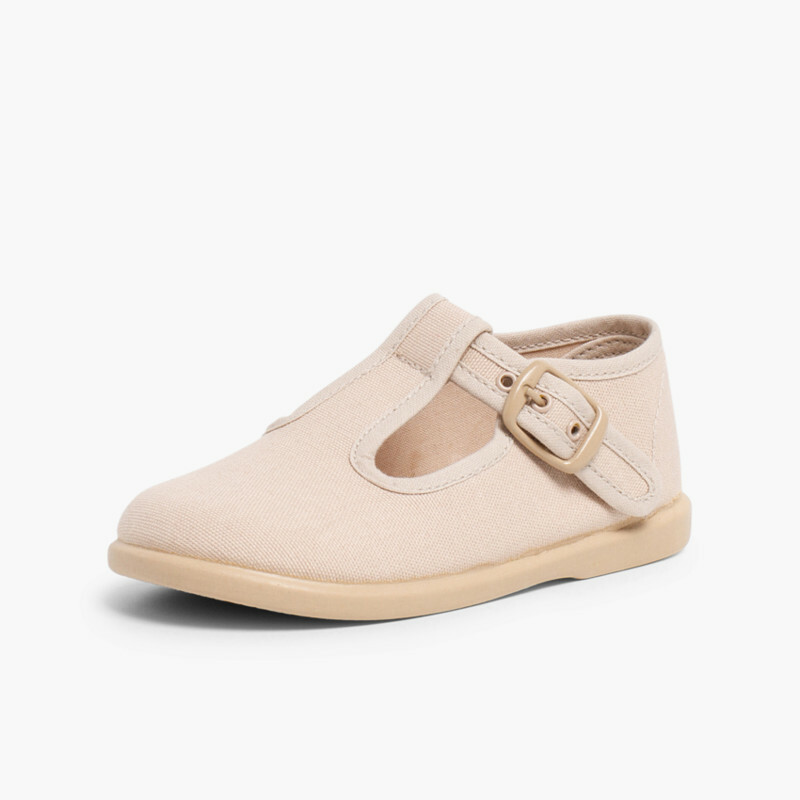 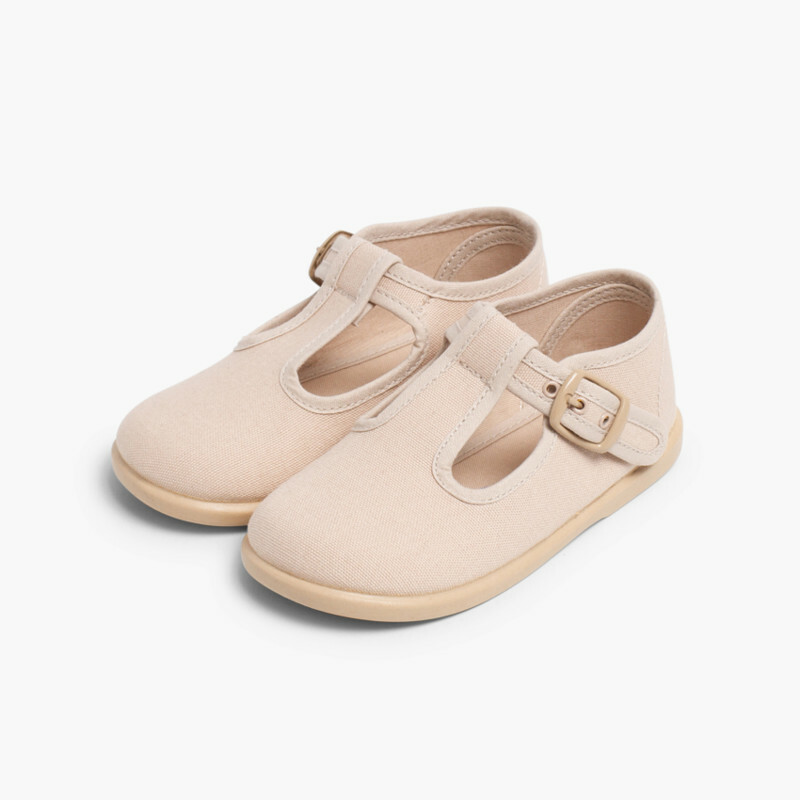 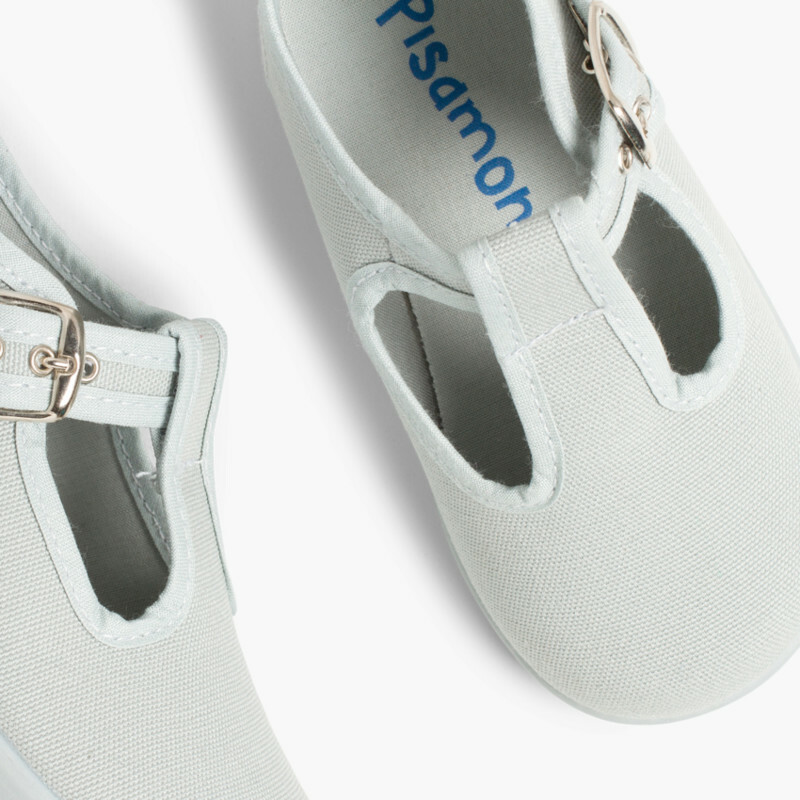 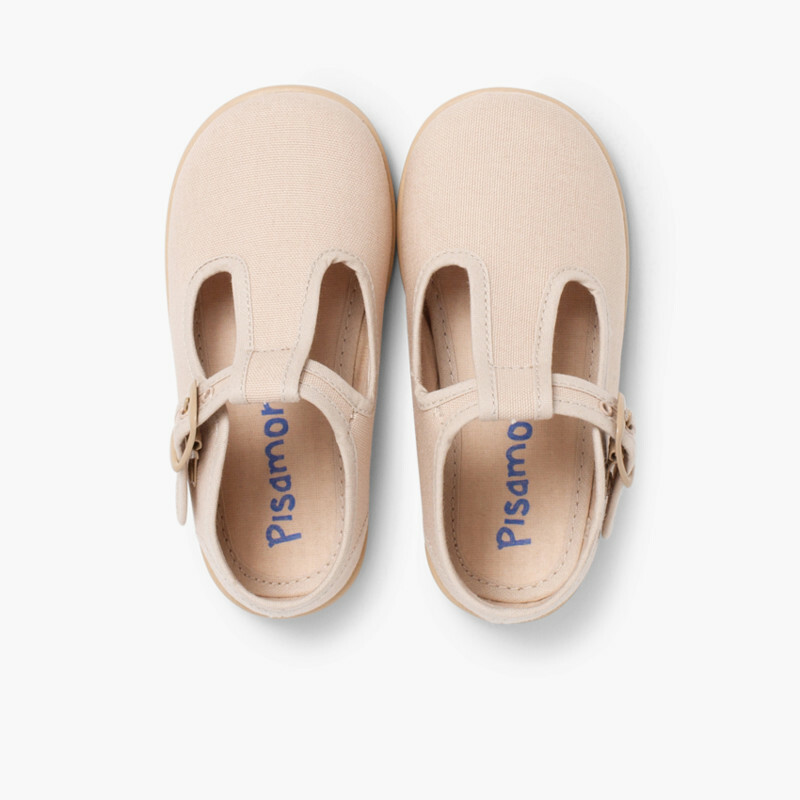 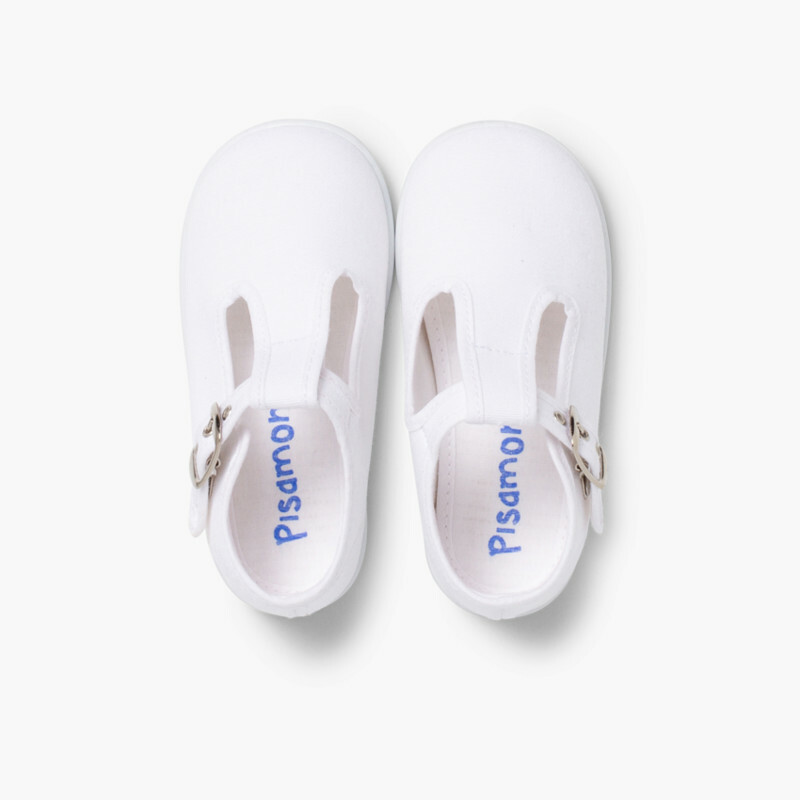 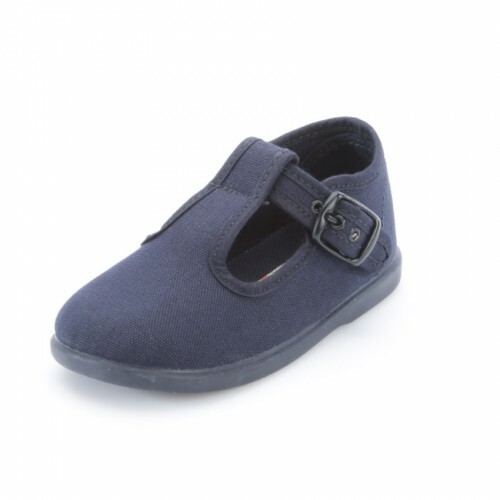 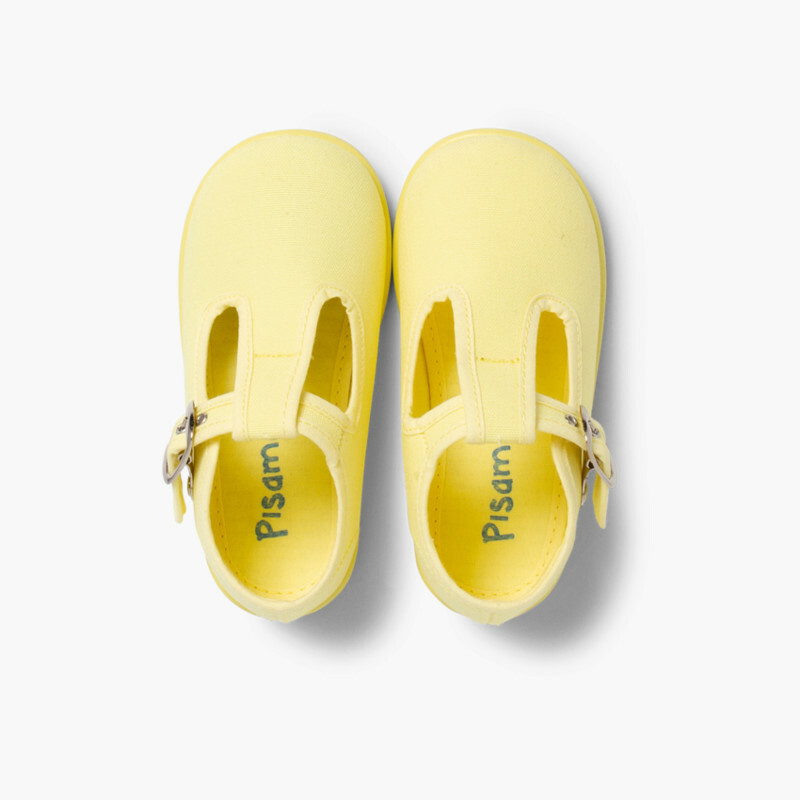 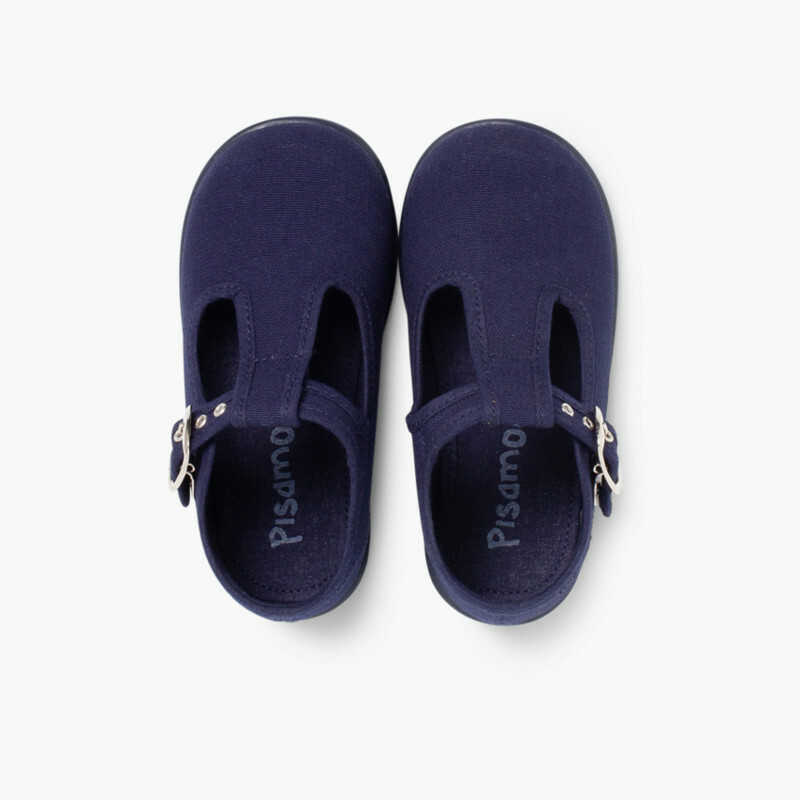 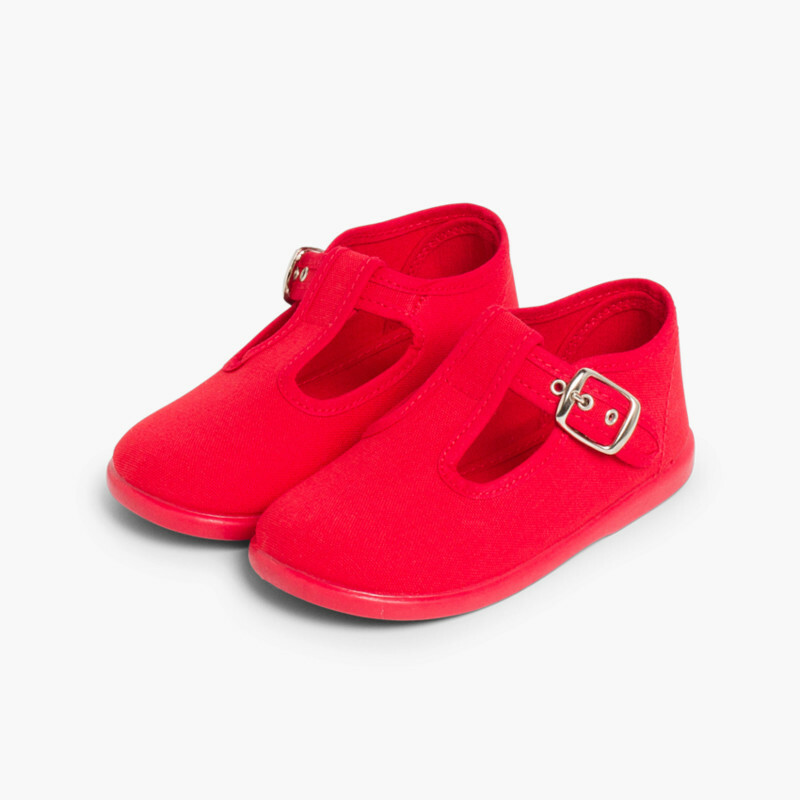 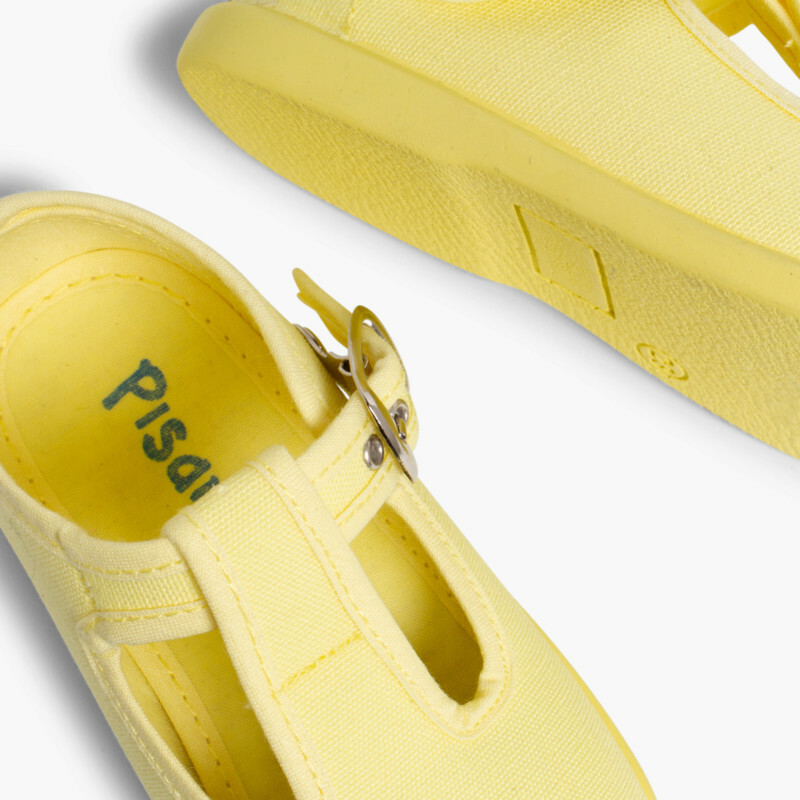 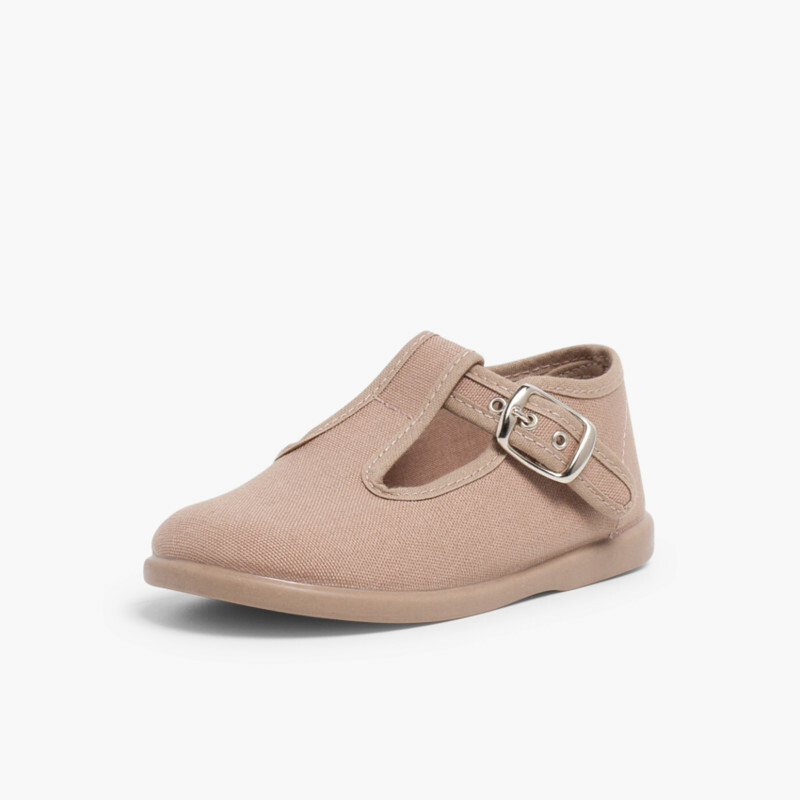 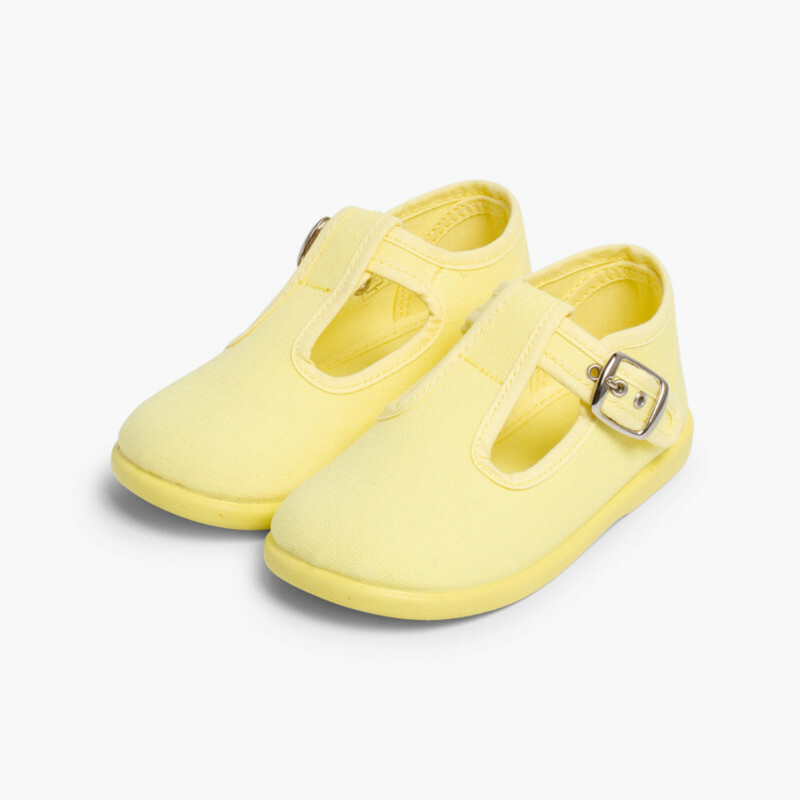 Lovely and practical kid's shoes made of canvas, lined and padded for higher comfort and with Indian-rubber soles and buttresses to allow a proper development of the foot. 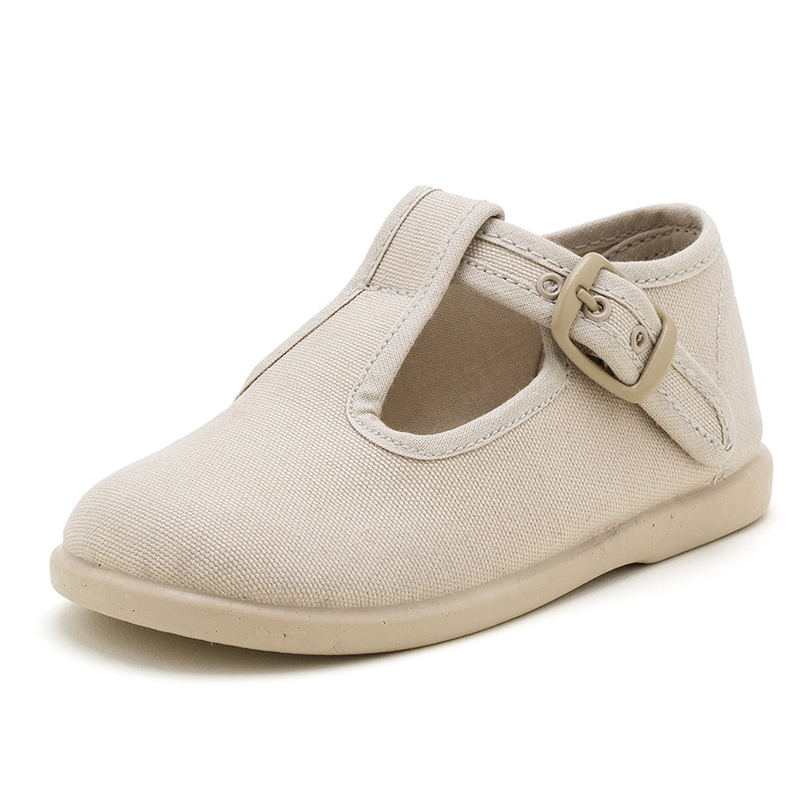 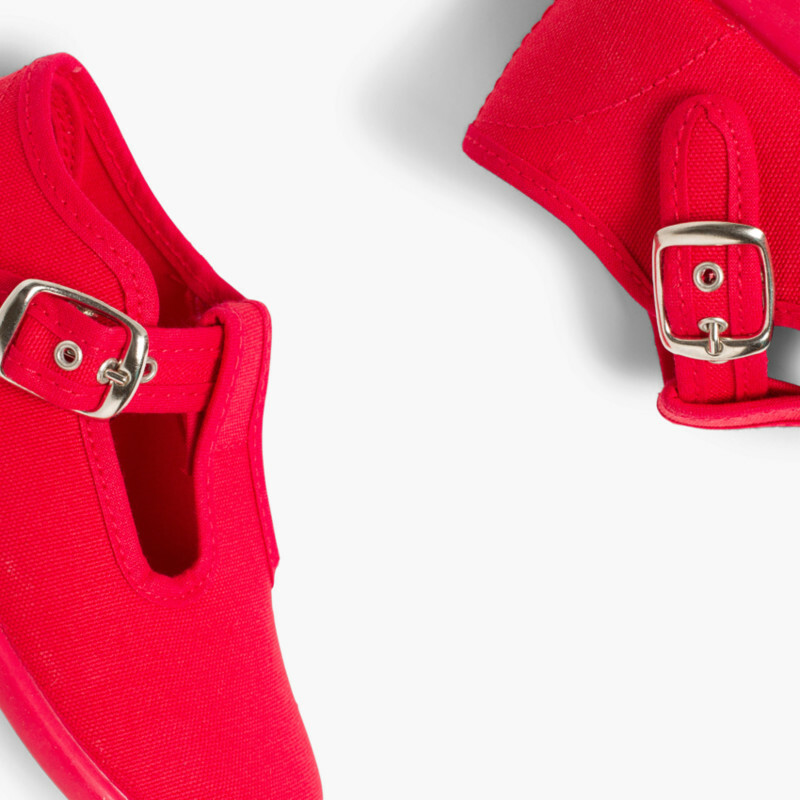 The perfect t-bar shoes which is also ideal for spring and summer. 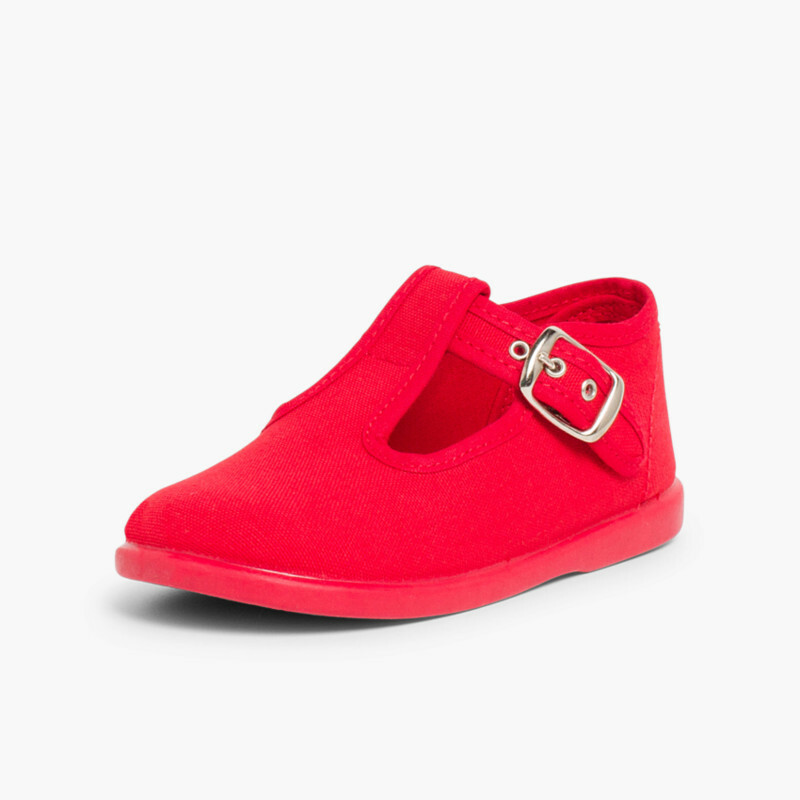 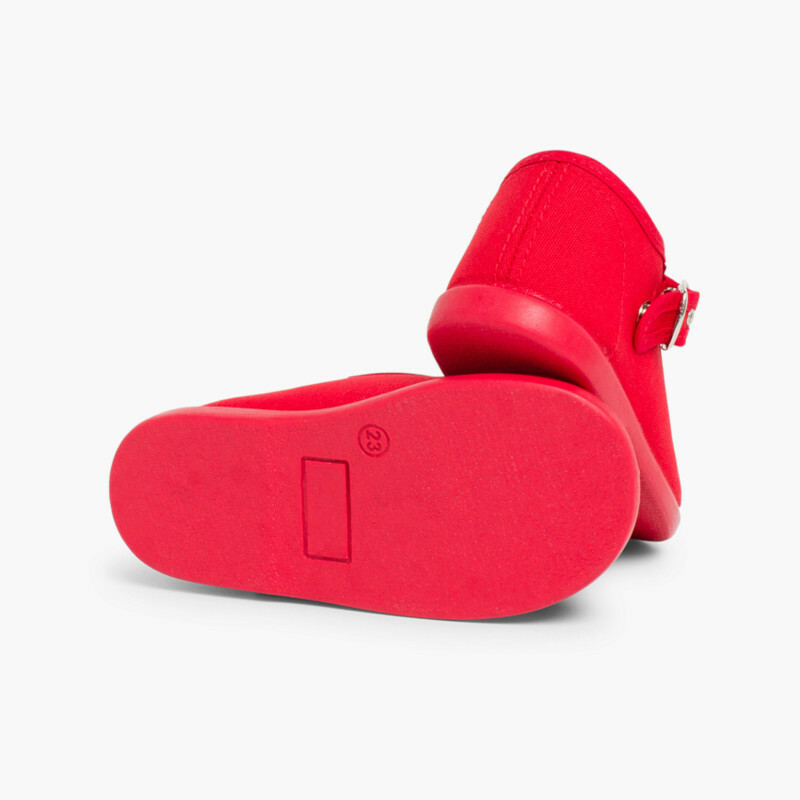 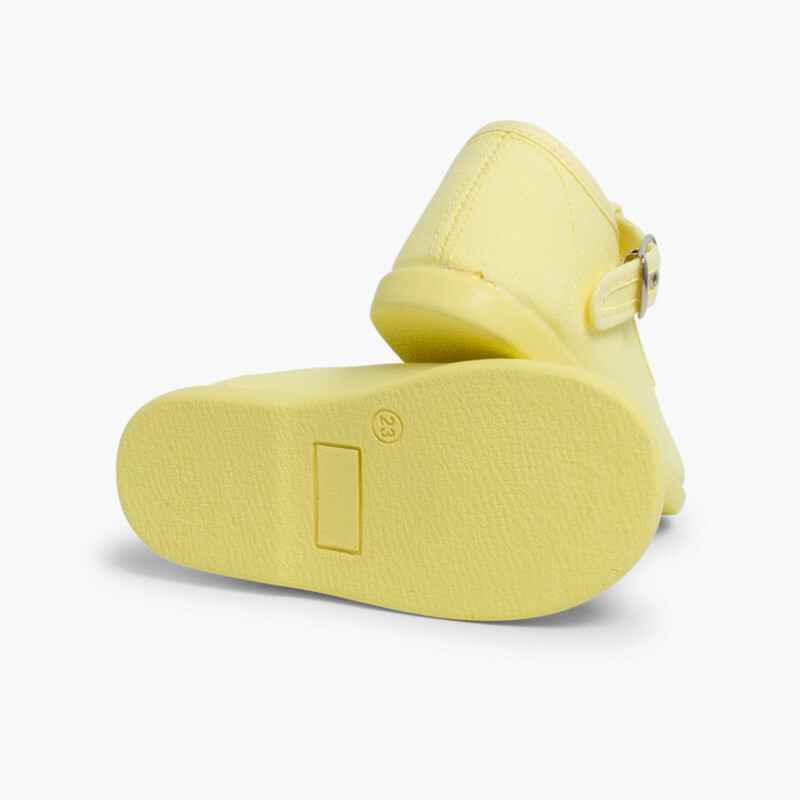 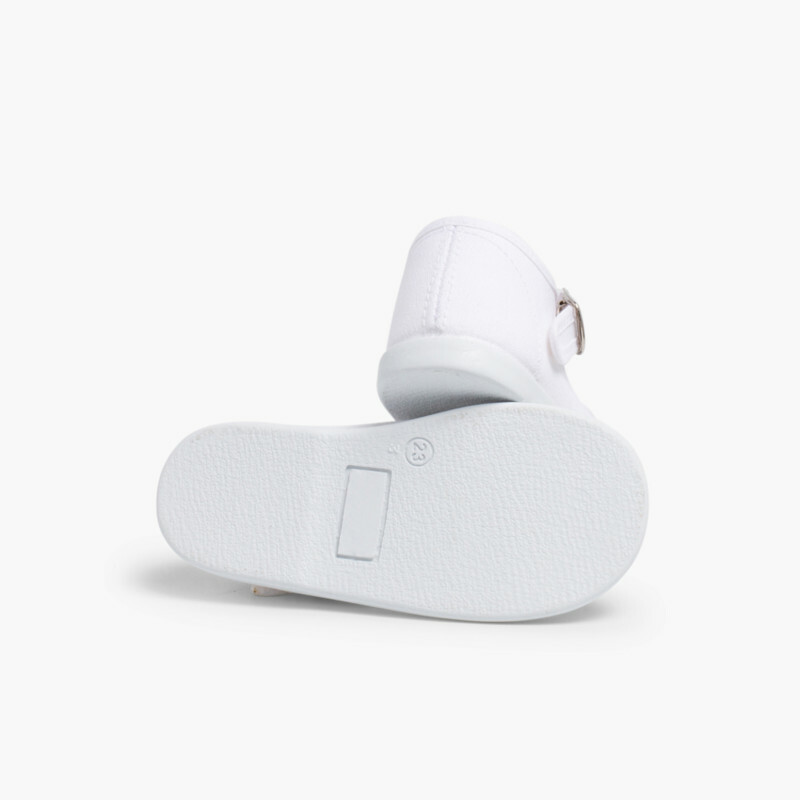 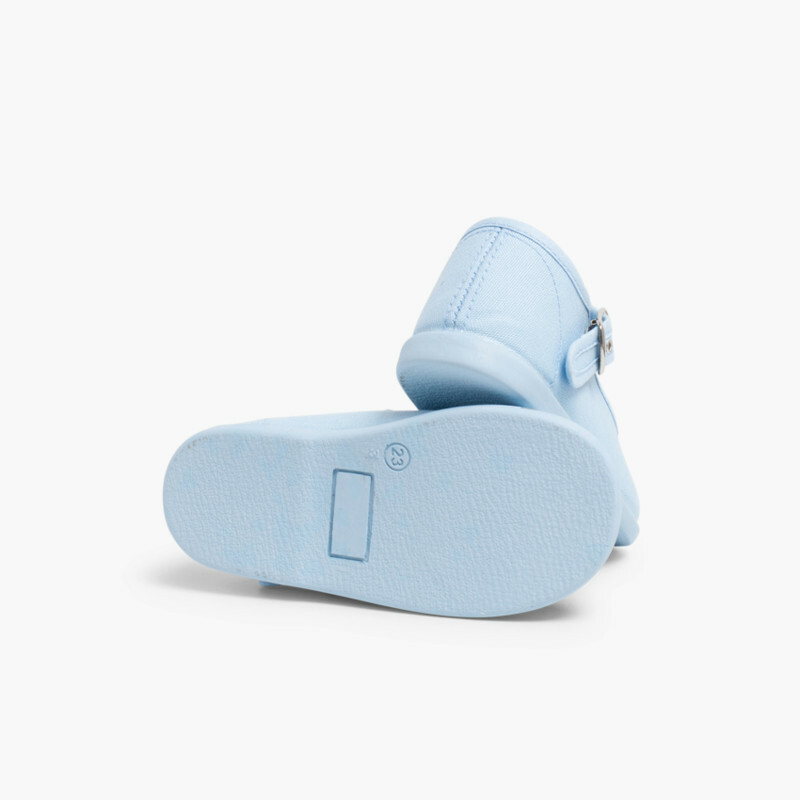 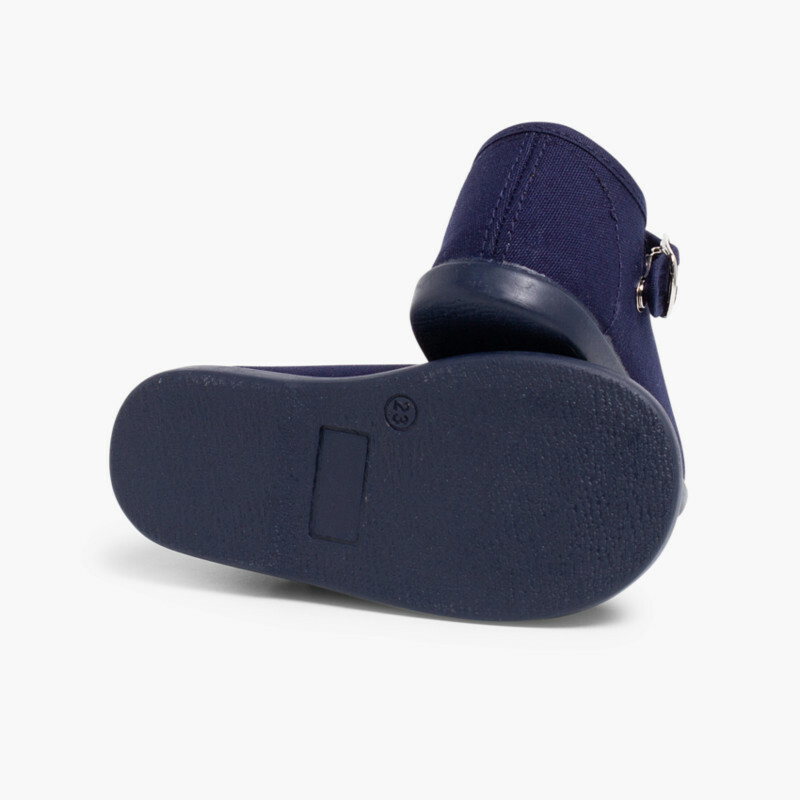 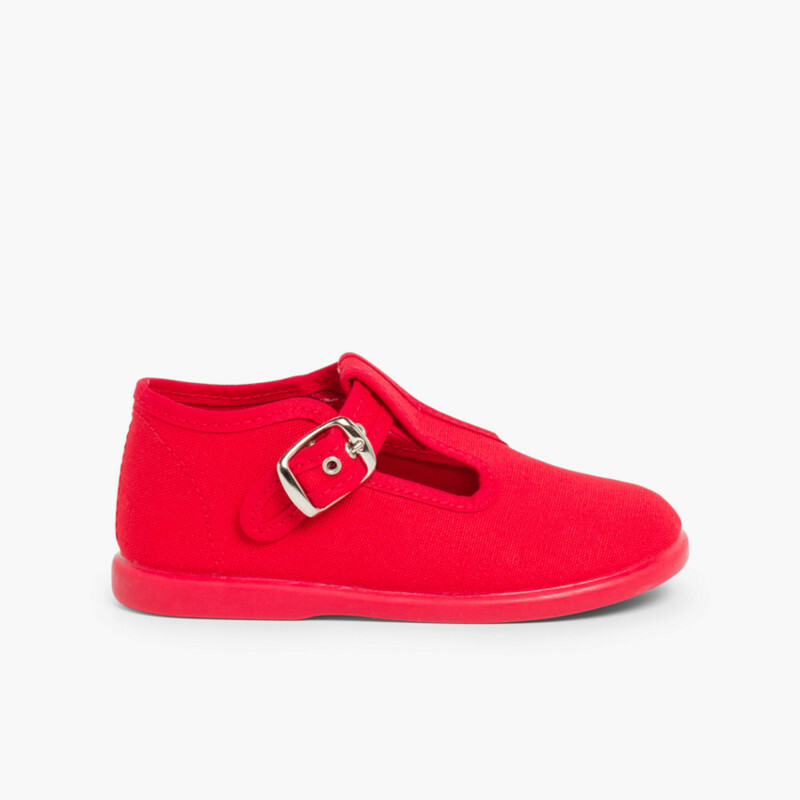 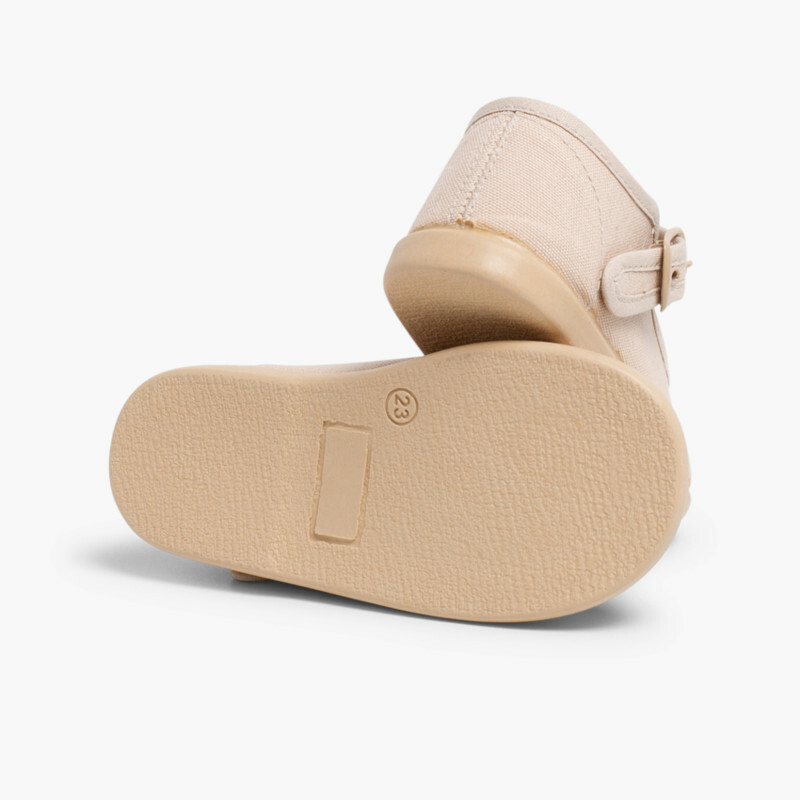 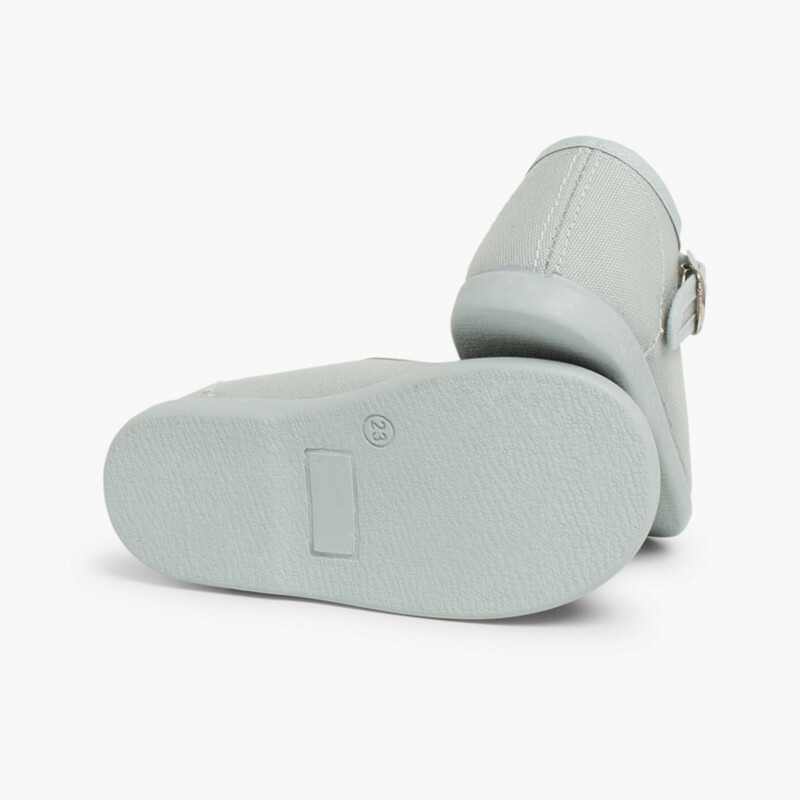 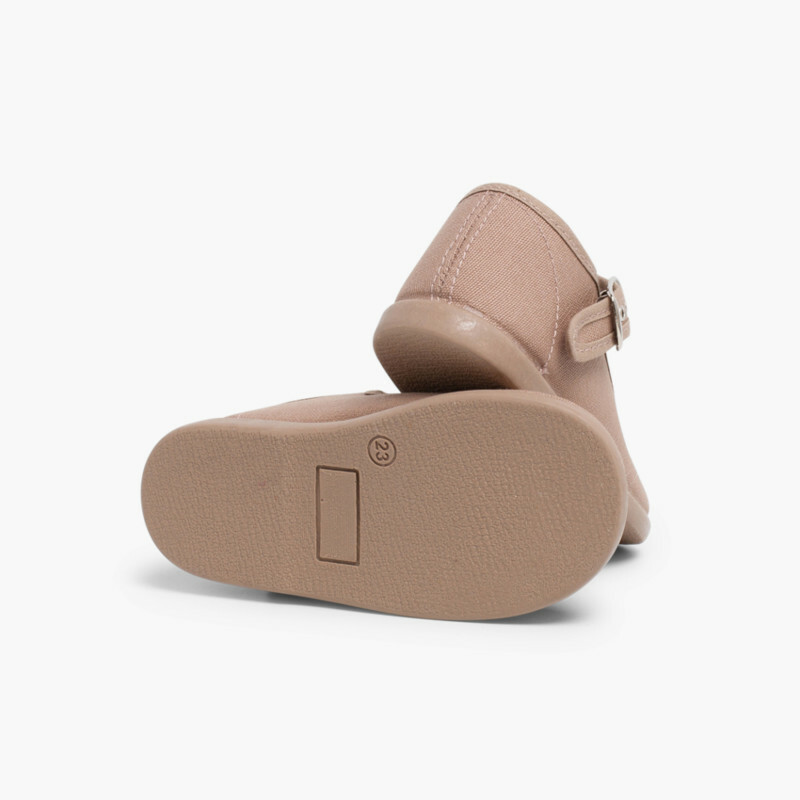 With buckle up fastening for optimum foot support. 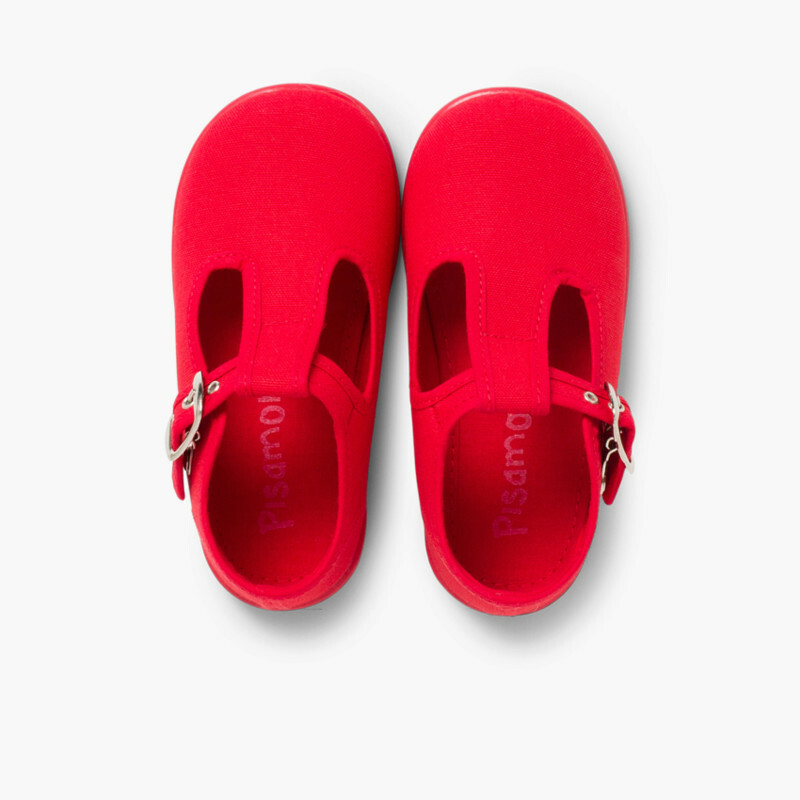 Available in highly combinable colours, washable and manufactured in Spain, cheaper here. 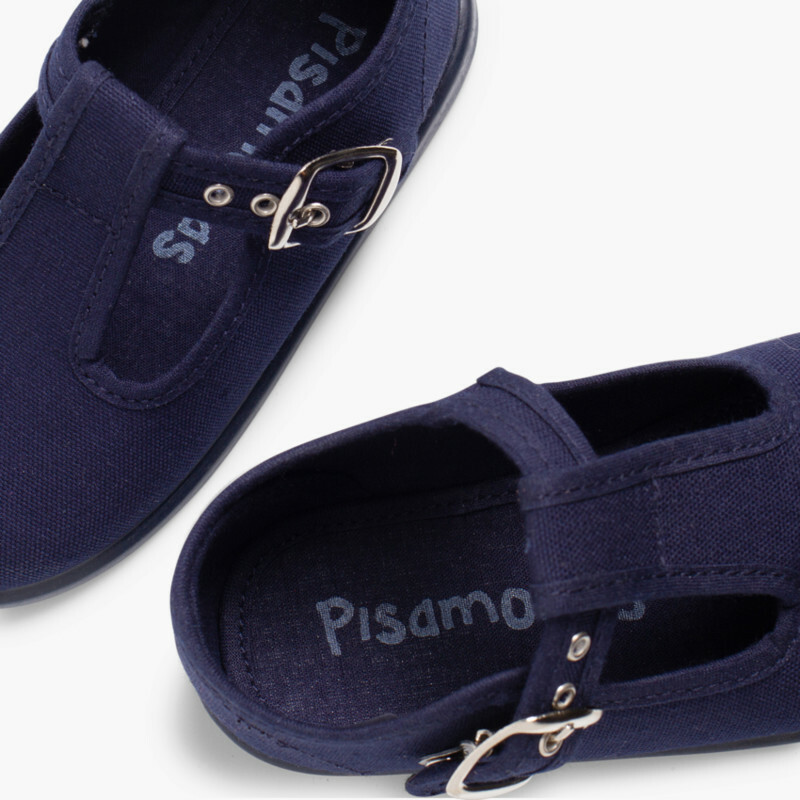 If you are in doubt between two sizes, we recommend you buy the biggest one, as canvas shrinks when washed. 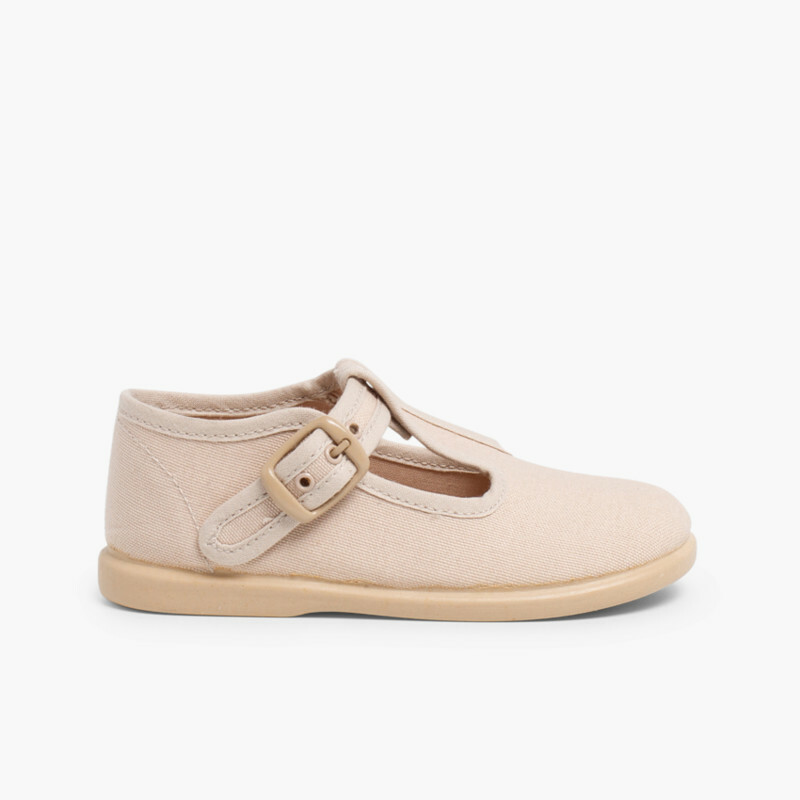 Perfect and conformable for my baby first steps in a warm weather.